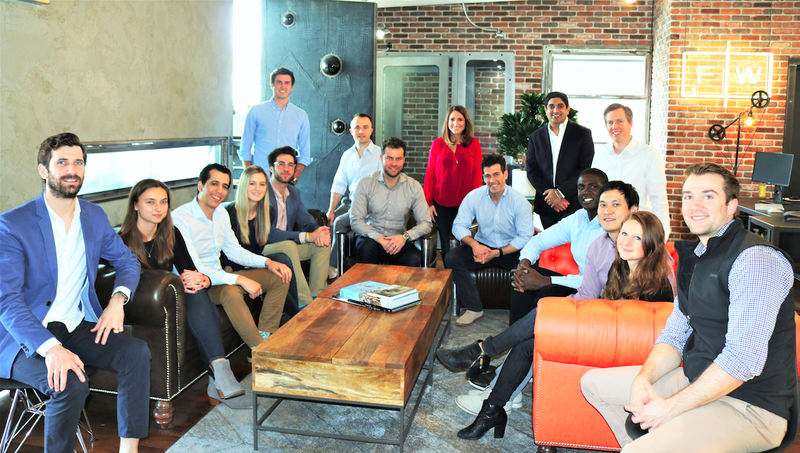 Fifth Wall is a venture capital firm focused on technology solutions for the Built World. We are connecting the world's largest owners and operators of real estate with the entrepreneurs and innovators redefining how the world interacts with its physical environment. The “Built World” is the canvas of human existence, it is where we live, where we work, where we sleep, where we consume, where we move, where we create, where we connect, and where we play. Built World technology has the potential to transform, optimize, and democratize our physical environment in ways that can help humans thrive. Built World technologies have the power to reimagine the physical spaces that define our lives: making them more accessible, cheaper, healthier, more efficient, more dynamic, personalized, connected, and intimate. New technologies can improve the homes where we raise our families, the offices where we create, the factories where we produce, and the spaces we go to shop, experience, and play. Fifth Wall fosters collaboration between innovative technologies for the Built World and industry-leading incumbents from all sectors of the real estate industry including: retail, industrial, hospitality, multi-family, homebuilding, office, and brokerage. Innovation in the Built World presents a staggeringly large opportunity. Despite being the world’s largest industry and largest asset class, real estate has been a late adopter of technology. However, we are entering a supercycle of innovation in the real estate industry as new technologies are dramatically improving how assets are designed, built, managed, bought, sold, financed, and everything in between. New technologies can make our physical environment more energy efficient, more flexible, more accessible, more secure, more connected, better utilized, and healthier. Owners of more than $200 trillion of real estate worldwide are seeking these new technologies, and consumers are demanding them. Yet despite the vast opportunities for innovation in real estate, new technologies face many headwinds as real estate incumbents have been slow to embrace them and entrepreneurs often struggle to efficiently distribute their solutions. Success or failure hinges on the often unpredictable adoption decisions of a few large real estate incumbents. Fifth Wall connects entrepreneurs with the largest real estate owners in the world, accelerating innovation and creating value for the entire Built World ecosystem. We aim to identify situations where one or many of Fifth Wall’s strategic real estate partners can dramatically accelerate the growth of a technology company innovating in the Built World. We aim to drive revenue, reduce risk, enhance go-to-market, and accelerate R&D to help our entrepreneurs realize their vision.